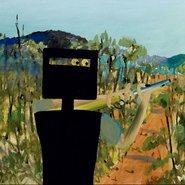 Join Gallery painting conservator Paul Dredge to hear about First-class marksman by Sidney Nolan and hear how she looks after such iconic work, conserving it for future generations. This is one of our ReCollection series of short talks celebrating the Art Gallery of NSW collection at lunchtime on Thursdays from 7 April to 30 June 2016. Each week an artist, curator or expert picks a work from the collection and addresses a particular premise, from their own personal inspiration to historical themes.